Are you a Tesla owner looking for brighter interior lights for your cabin, frunk and trunk? Look no further - Oznium has the solution for you and your cutting-edge tech vehicle! 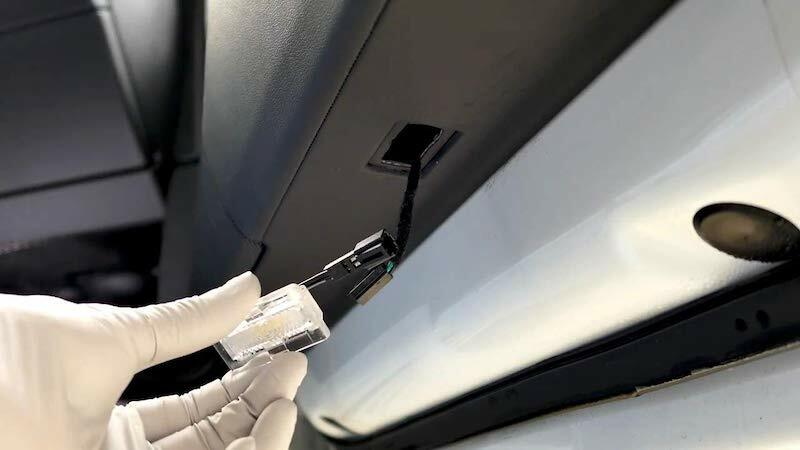 Apart from manufacturing Tesla LED Lighted T Badges, we have recently developed a new Tesla interior light as an upgrade option, to satisfy Tesla owners needing clearer, brighter lighting. Perfect for the Tesla Model 3, Model S, or Model X, these brighter LED puddle lights will improve safety and function during dark hours of the night. Its obvious the stock OEM version is incredibly dim, making objects in your trunk difficult to see in the evening. Ours is 20 times brighter. Within five minutes, you'll experience lighting that is 20 times brighter than stock models. 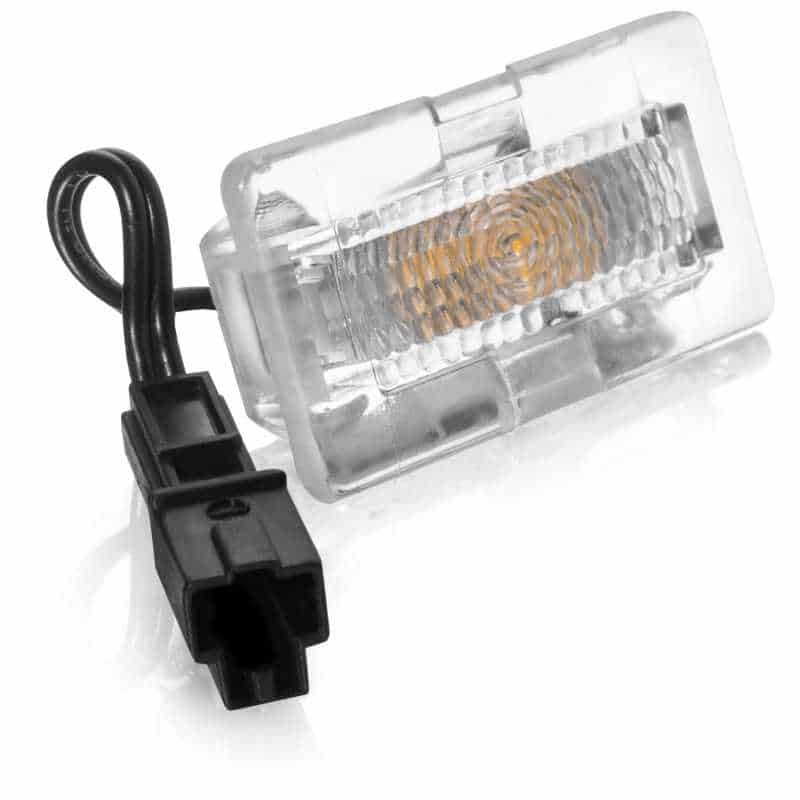 Simply pop out the existing factory light, unplug it, plug in the new Oznium LED light, and snap it back into place. And just like that, within a few minutes, you're the owner of a custom Tesla boasting ultra bright LED lights. 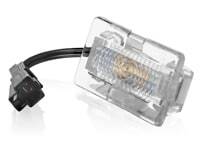 Because we use real OEM TE Connectors, there's no wiring required! Attention Model 3 owners: These lights will work everywhere in your Model 3 except under the front dash. We're working on a fix, and hope to have it ready by mid February 2019. - Works perfectly in all Model S and Model X vehicles. Q: How well does this work in the trunk on a Model 3? Q: How much current does this draw? Q: What bulb does this lamp use, and how many lumens does it put out? A: Each light puts out 44 lumens using 4 x 5730 size surface mount LEDs. 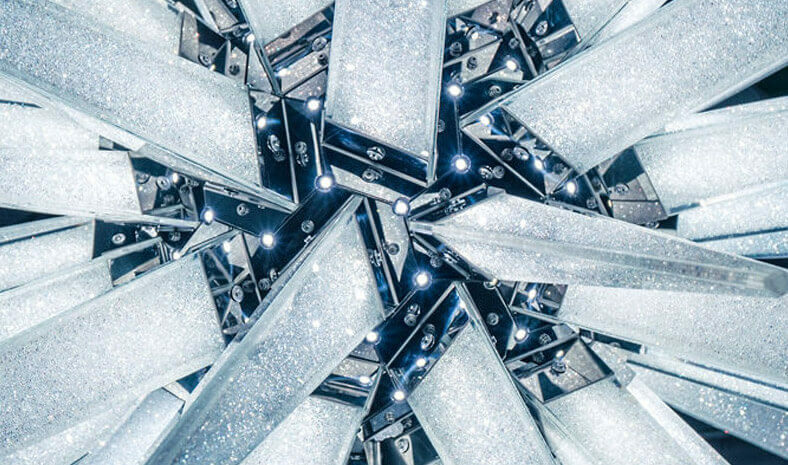 These aren't really "light bulbs" though - they are LEDs (Light Emitting Diodes)!. The current draw of each light is 58 mA at 12vdc. The color temperature is about 6300-6500K (Cool White). Q: How many does lights my Tesla use? How many should I order if I want to replace & upgrade everything? A: It depends... Some Tesla's use different amounts of lights depending on the trim package you have, or whether you have an "OEM light upgrade". But you may notice rectangular cutouts in the trunk carpet. If you peek behind the carpet, you will discover there's some electrical plugs that don't go to anything. You can then just loosen up the OEM electrical plugs, connect our Oznium lights and then take a sharp X-Acto knife to cut out the pre-marked rectangles in the carpet. 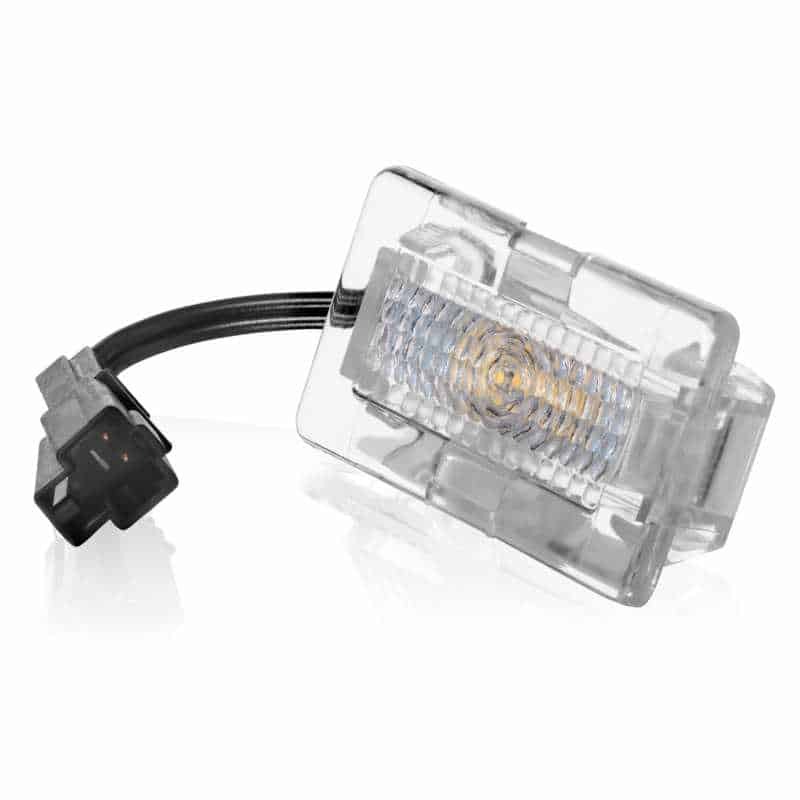 Your new lights will fit into the space perfectly so you can finally see in your trunk at night. Let there be light! Fits perfectly, makes it nice and bright! Super easy to pop out the factory lights with a small flat head, pop out the connector, and then these snap in very easily and give off a much nicer, brighter light than before. Of course they'll use a bit more electricity than the older ones, but I doubt it'll be that much more. Makes a HUGE difference in the back trunk where you would need more light. I just replaced the front doors and the rear trunk lights with a pack of 4 in barely 5 minutes. Highly recommend. These were easy to install with the pigtail connector. I was able to plug 2 of them in the trunk and the 2 front door puddle lights no problem on a Model 3. They are pure white with no hint of blue. I recommend these over the others (RPM, Abstract). They are cheaper too with no coupon code or referral code needed!